Kilpisjärvi Atmospheric Imaging Receiver Array: LOFAR, EISCAT, SKA... and KAIRA of course! Today's photograph was from the recent science seminar. 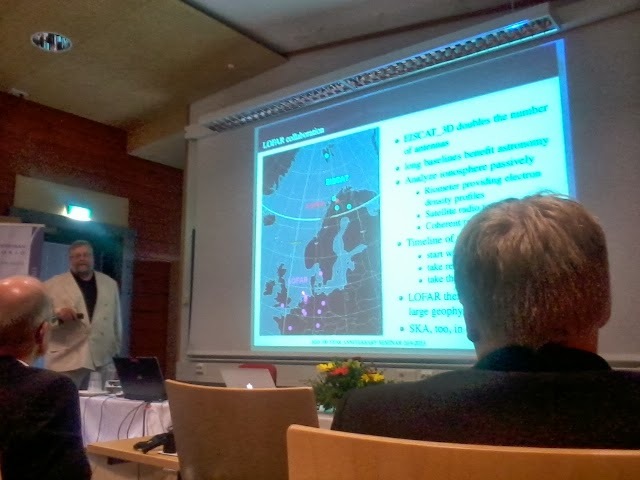 Here, Prof. Markku Lehtinen explains the major projects and the vital link between them.